1 - SSD Buyers Guide 2 - SSD vs Hard Disks 3 - Know your controller: Indilinx and Intel 4 - Know your controller: JMicron, Toshiba and Samsung 5 - Know your controller: SandForce and Marvell 6 - Which SSD Should I Buy? When you build that high performance, custom PC it’s easy to see the benefits of a faster processor or beefier graphics card, but high-performance storage is still a confusing topic. Instead of having two major brands to choose from, as with processors or graphics cards, there are many different types of SSD, all of which perform differently in some way. To add even more confusion, drives are then sold by partners with completely different names rather than keep the original designers branding in the same way as Nvidia or ATI’s GeForce or Radeon graphics cards. With this in mind, we’ve decided to knock together an SSD buyers guide, listing the different controllers and their pros and cons, as well as exactly which SSDs use which controller. While some drive manufacturers claim that only enthusiasts care about what’s inside an SSD we feel the continued high price of drives means that people need to know exactly what's in the box before they should buy one. An SSD is very different to a typical hard disk because its uses flash memory rather than spinning platters of data. A hard disk works a bit like a record player or DVD – the data is stored in tight tracks on a circular disk which a read/write head must find as the disk spins underneath it. 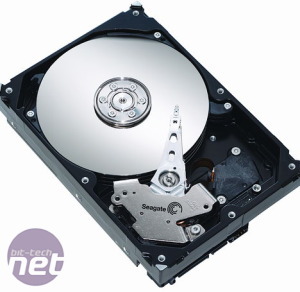 While modern hard disks are amazingly complex, the technology has its drawbacks – it takes a while for the read/write head to find the correct data path, hard disks can be noisy and hot, and they are relatively fragile. An SSD avoids most of these issues as it uses NAND flash chips for its storage, and not a spinning data platter. 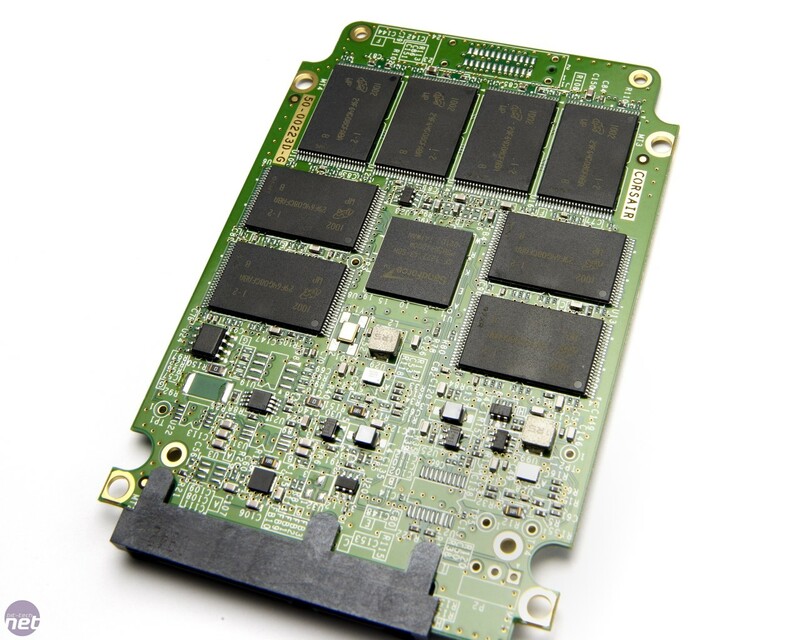 All SSDs have a central controller chip which manages the data flowing into and out of the storage chips. There are wildly different implementations of how this arrangement works, leading to massive difference from one drive to another, hence the need for some clarity. This arrangement of controller chip and NAND flash allows a decent SSD to be much faster than a hard disk, giving you a more responsive PC, while also being much more rugged, cool and silent. However, SSDs are also much more expensive per gigabyte than a hard disk, mainly due to the price of high-capacity NAND flash chips. What makes an SSD so much faster than a hard disk? The key to SSDs being so much faster than mechanical hard disks is access times. On SandForce SSDs, such as the 240GB Corsair F240, the read access time can be as low as 1/10th of a millisecond, in comparison to around 14ms of a high-performance 7,200rpm hard disk like the Samsung SpinPoint F3. This means that every time the SSD goes to read or write a file, it does so over 100 times faster than a hard disk. In read-heavy circumstances (booting an operating system or loading a game) where hundreds or thousands of individual files might need to be read, this advantage adds up and means that even an SSD with low sequential read/write speeds can be many times faster than a hard disk. Sequential speed is how quickly a drive is able to read or write a large, contiguous file from or to the drive, whereas random speed is how quickly the drive can cope with many small files being read from or written to random places on the drive. Sequential read speed is typically affected by the drive controller and the NAND flash memory used. Sequential write speed can be affected by the drive's capacity, either because a low-capacity drive uses slower lower-density chips or because it uses fewer chips which reduces the amount of storage that the drive controller can address simultaneously. The ‘random’ performance of a storage device is how well it copes with many files in different (random) places being read from or written to it. Random read speed is dependent on both the drive’s access times and the abilities of the drive controller to cope with a flood of different commands. It’s best explained by heavy multi-tasking, where the drive needs to read many different small files. In real-world situations, drive performance is more a combination of sequential and random read performance, as file sizes vary. Random write performance is a more contentious issue, as it’s the area in which the first batch of consumer SSDs fell short, with the drive controller easily getting flooded with random write requests. This lead to the drive stalling, unable to do anything for ages – the problem manifested itself in benchmark results as a high maximum latency. Thankfully, the issue is now fixed, with the majority of consumer SSDs offering random write speeds at least five times higher than that of a fast hard disk. Heavy random write workloads typically arise when making many small writes to log files, the registry, or temporary folders. However, random write speed will have an impact when making simultaneous writes to the drive, working in combination with the sequential write speed in real world situations. A good SSD should be able to deliver on all five aspects of performance: low access times, high sequential read and write and high random read and write. On a great SSD, all five factors will combine to deliver a faster, more responsive PC in every situation.